Goodbye cold and flu season - hello allergy season! If you experience seasonal sniffles (or worse), allergy care may be an important part of your spring health plan. 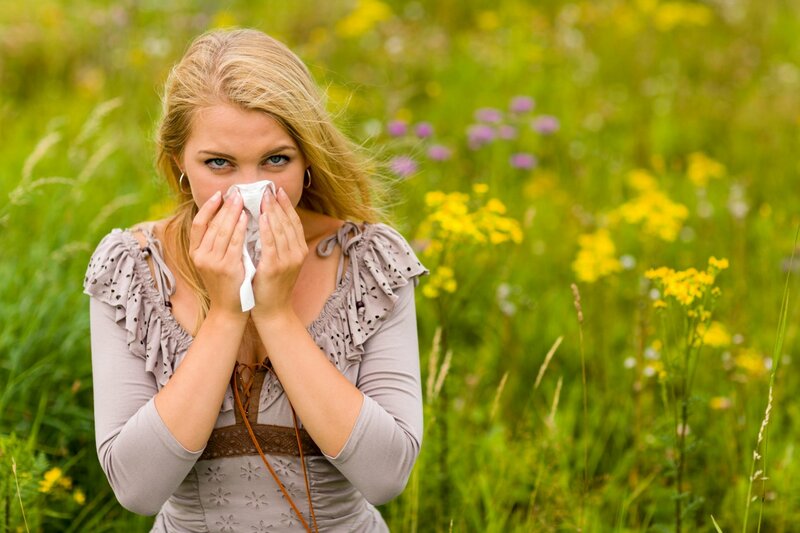 Learn more about allergy symptoms and treatment in our newest blog! With the spring season kicking off last month, many of us are trading flu and cold symptoms for another type of sniffly health issue: allergies. More than 50 million Americans suffer from allergies each year. And seasonal allergies in particular are an uncomfortable health issue that OTC medications cannot always properly manage. Fortunately, there are solutions for people who struggle with spring allergy flare-ups. Specifically, meeting with professionals can provide relief from reactions to pollen, dust, plants, or other allergic triggers. The following information is meant to help people - maybe you, maybe a relative - identify when this type of medical resource is worth pursuing. Seasonal allergies, sometimes commonly referred to as hay fever, affect about 8 percent of Americans. Seasonal allergies, like their long-term counterparts, are the result of our immune systems overreacting to an allergen, such as pollen. (The term 'allergen' refers to anything that triggers an allergic response.) And when our bodies try to fight off what they perceive as an invasive threat, we experience side effects in the form of allergy symptoms. Because of their seasonal nature, spring allergies tend to be triggered by timely blooms that release wind-pollinated pollen. The culprits of these allergens can include trees, weeds, and more. It's also possible for seasonal allergies to include dust and mold exposure, which can also increase in the spring months. Seasonal allergy symptoms can range from mild and irritating to severe. Sneezing, a runny or stuffy nose, watery and itchy ears, and congestion are all associated with allergies. In more severe cases, wheezing and coughing can also develop. In the absolute worst cases, people with spring allergies also suffer from asthma. And the combination of sensitive airways and airborne triggers is also often enough to trigger an asthma attack. While many of these symptoms could be mixed up with a cold or flu bug, their seasonal nature allows doctors to consider allergies as a possible cause when patients complain about them year after year. Allergy testing is also an option to confirm a diagnosis, as well as give more information on where your allergies may stem from. Allergies cannot be cured. 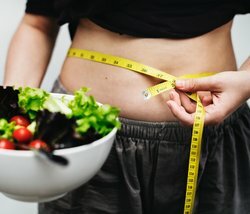 With that in mind, doctors recommend first making lifestyle adjustments to minimize their impact. Staying indoors when your symptoms are at their worst; keeping your windows shut to keep outdoor allergens out of your home; and using specialized filters in your air circulation devices at home to trap dust can all help minimize any discomfort caused by allergies. It’s also helpful to take a shower, wash your hair, and change your clothes after you’ve been working or playing outdoors. People with allergies should also avoid cigarette smoke, which is known to further aggravate symptoms. Thanks to modern-day technology, it’s also easier than ever to monitor just how severe the levels of various pollens and other triggers are at any given time. This website, for example, offers day-to-day reports on pollen and mold levels in the Pittsburgh area. Over-the-counter decongestants and antihistamines can provide some relief, as they specifically target the histamines released when our bodies response to an allergen. But OTC medications are not a long-term solution, often have side effects associated with chronic use, and may become pricey. Prescription medications, when discussed with and prescribed by a physician, may be a better treatment option for patients who have a minimal response to OTC medications. Allergy shots are also available to patients struggling with severe allergies. These shots help to desensitize the immune system and minimize the reaction it has to allergens. Immunotherapy may also be an option to patients for allergy management, although this must be decided on a case-by-case basis. This care method involves giving gradually increasing doses of the substance, or allergen, to which the person is allergic. This slight increase in exposure can sometimes help the immune system become less sensitive to an allergen, thereby making a patient 'less allergic' to different substances. All medical options should be evaluated for effectiveness and side effects, and patients will ultimately have to decide which treatment is right for them. Are You Ready To Fight Your Allergy Symptoms? Needless to say, an allergic reaction can be uncomfortable at best and overpowering at worst. If you are concerned about your seasonal symptoms, talk to your doctor. They are your best resource as you work on finding a diagnosis and a treatment solution to keep you as comfortable as possible! Why not visit Allegheny Medical for your allergy care? Our care providers are passionate about developing highly individualized wellness plans that help our patients and restore health. Our primary care services - and, when needed, our specialists - can provide you with the information and planning you need to stay on your feet and on the go this season, no matter what you may be allergic to. Whether you’re due for an exam or you’re hunting for a new PCP, we want to meet you. Call us at 412-494-4550 to schedule an appointment today, or book an appointment online!